The enjoyable weather outside may have you wishing you could spend more time outdoors, including meal time. So why not gather the family and head to your favorite park with food in hand? For an easy appetizer, pack whole grain crackers and hummus or low fat cheese. Sandwiches are easy to pack and eat. 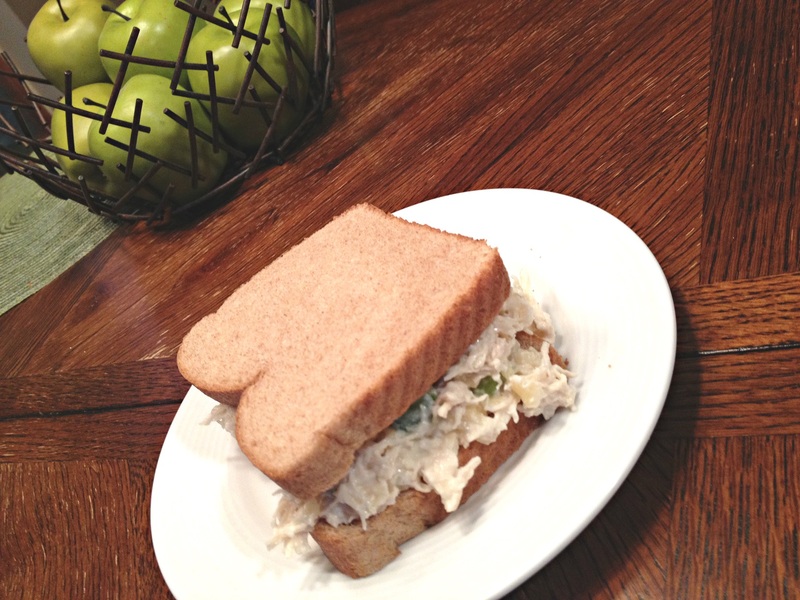 Try the recipe below for delicious chicken salad with a Hawaiian twist. Serve it on whole grain bread or a lettuce leaf. And don't forget Rebecca's Quick and Easy Coleslaw recipe for a side dish. Round out the meal with those Peanut Butter Quinoa Cookies that I blogged about earlier; they travel well, but if it's a really hot day stick them in cooler to prevent the chocolate chips from melting. And don't forget to stay hydrated. Make easy strawberry lemonade by dissolving ¾ cup of your favorite artificial sweetener into 1 cup of freshly squeezed lemon juice. Then, puree 1 cup of strawberries and add it along with 7 cups of sparkling water to the sweetened lemon juice. Pour it in a gallon jug with ice and your set for a delicious drink! Keep foods safe by keeping cold foods cold: 40°F or colder to prevent bacterial growth. To do so, pack cold foods in a sturdy, insulated cooler with plenty of ice or frozen gel packs. Never leave cold or hot food sitting out for longer than 2 hours, or 1 hour if outdoor temperatures are above 90°F. If there is not a hand washing facility at your picnic site, pack antibacterial hand sanitizer to apply before eating. The great outdoors can serve as the perfect spot for family fun! Combine mayonnaise, sour cream, and brown sugar in a large serving bowl. Add pineapple, celery, chicken, and walnuts. Stir to coat. Refrigerate and serve with multi-grain roll or on lettuce leaf.